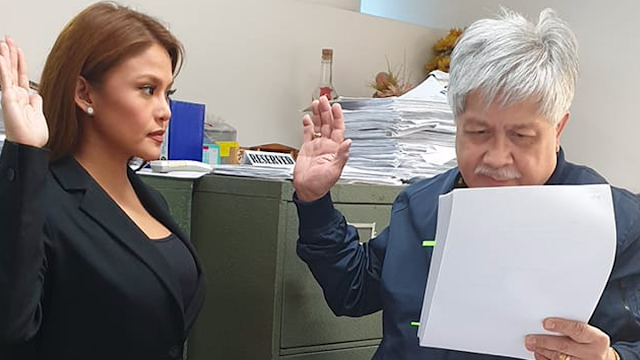 Gretchen Fullido's libel complaints against Ces Drilon and Marie Lozano, dismissed! Manila, Philippines - The City Prosecutors' Office of Quezon City dismissed the libel complaints filed by Gretchen Fullido against Ces Drilon, Marie Lozano, and Venancio Borromeo. The court said that the statements of Drilon and Lozano were not defamatory or libelous. Citing to a Supreme Court ruling, the QC prosecutor's office said, "Words which are merely insulting are not actionable as libel or slander per se....The fact that the language is offensiveto the plaintiff does not make it actionable by itself." It can be recalled that on October 5, 2018, Fullido filed a sexual harassment and libel case against several ABS-CBN personalities.